Personalization Panel for Windows XP - a program that allows you to create a comfortable interface in the operating system. It works with a regular design, equipped with several templates that change icons, appearance, colors. In the personalization workspace there are tools that visually edit the appearance of folders, videos, sound materials. A visual change of the mouse cursor is available. When the application is automatically updated, new thumbnails are added to the library, transforming the files. 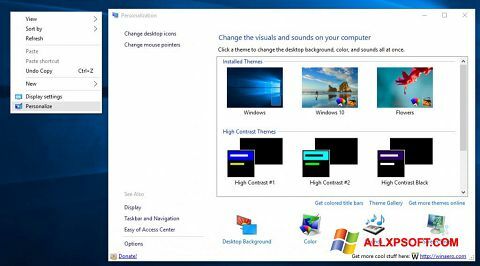 You can change the desktop background, there are flexible settings options. You can free download Personalization Panel official latest version for Windows XP in English.